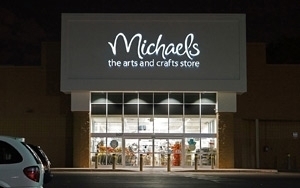 Omnicom’s Zimmerman Advertising confirmed today that it has been awarded advertising duties for Michaels, the national arts-and-crafts retailer. The agency said it would provide a range of services, including strategic planning, analytics, digital media planning and buying and social media, working with a total marketing budget of $180 million. "To gain market share, you need an agency that knows how to fight for it,” said Steve Carlotti, executive vice president, marketing, Michaels. “For us, that agency is Zimmerman. They're fully integrated, driven by metrics, and together we expect great things to happen." Founded in 1973 and headquartered in Irving, Texas, Michaels posted $4.6 billion in revenue in 2013. It owns and operates 1,166 Michaels stores across the U.S. and Canada. "Zimmerman was founded on an innate understanding of the retail sector and a commitment to drive growth for brands and the critical business that is underneath the brands,” said Jordan Zimmerman, the agency's founder and chairman. The new assignment follows the September return of Michael Goldberg as CEO of Zimmerman after a three–year hiatus. Before his departure in 2011, Goldberg was Zimmerman’s CMO. Before returning as CEO, he was CMO at Interpublic’s Deutsch.